Who knew 1971 was this good a year? While I think I can make an easy case for three of the five nominees (and a lot of people can make a case for a fourth), there are a number of places that the Academy could have gone here that would have been interesting. In terms of movies that probably wouldn’t get a nomination, the Clint Eastwood pair of Dirty Harry and Play Misty for Me are first and foremost in my mind. Shaft is a much smarter and better movie than most people remember. Duel is probably too simple for real consideration, and I’m not sure if it was ever released in theaters anyway. I might give some consideration to Willy Wonka and the Chocolate Factory, even if it’s more nostalgia than anything else causing me to say that. Summer of ‘42 is very bittersweet and lovely, and might get some consideration from me, and McCabe and Mrs. Miller seems like a miss, at least for a lot of people who like it more than I do. I’m more attuned to The Devils or Harold and Maude. The film with the most gravitas of the year, though, is Walkabout, and that’s the one I’d most like to add. 5. 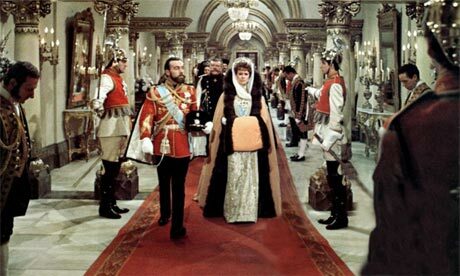 I can remember three things about Nicholas and Alexandra: it’s opulent, it’s far too long, and it’s dull as all hell. If you know your history, you know how the Romanov dynasty came to an end in Russia, so the ending is neither a surprise nor pleasant, but for a dull film of this length, it’s actually a relief when we finally get there. There were better choices, but my guess is that the Academy, as often seemed to be the case in this era, was swayed by fancy sets and an epic running time. Silly Academy, Russian epics aren’t for kicks. 4. I’ve seen The French Connection multiple times, and I cannot figure out why people care about it as much as they seem to. A number of people have told me how great it is, but when I ask them why they think that, I’ve never gotten a good answer. 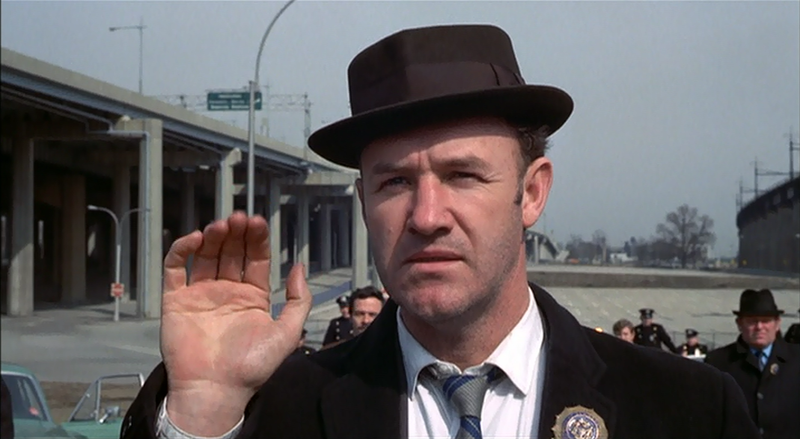 Gene Hackman plays a racist cop who stands outside of a restaurant and watches a fat guy eat. Sure, the chase scene is pretty good, but it’s nothing that wasn’t done better and first in Bullitt. Why is this fourth instead of fifth? Nicholas and Alexandra didn’t have any good chase scenes. 3. 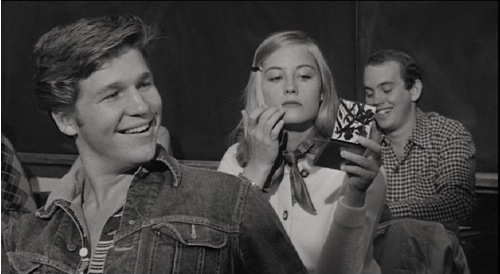 When I reviewed The Last Picture Show, I may have been weary, since it was the concluding film for me the first time I finished the 1001 Movies list. I stand by what I said, though. I can understand why this is considered a great movie and I think it might be one, but I’m not entirely convinced that it’s a good one. It’s certainly not one that I have chosen to watch again despite it being the starting point for a hell of a lot of careers. I like the nomination, and while I think a lot of people might put it on top (or at least higher), this is as far as it gets for me. 2. 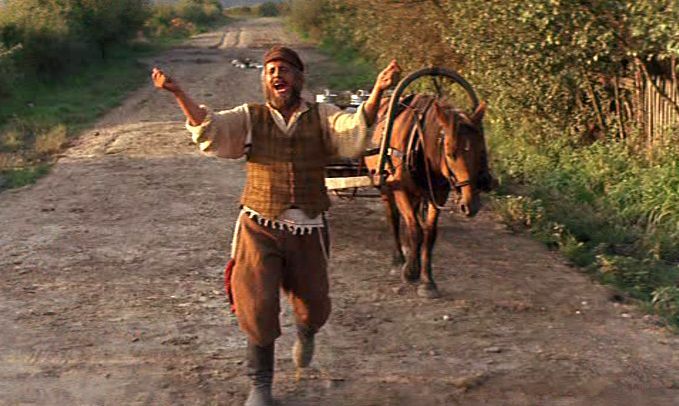 I was surprised at how much I enjoyed Fiddler on the Roof. Based on length and style, I expected a slog, but didn’t get anything like a boring film. It’s a film that on the surface is about dealing with change and maintaining tradition, but is really about life and love and a lot more. Since this is a musical, a great deal of the enjoyment comes from the songs and the production numbers, and they’re really, really good. I could see this winning in a different year. I think I’d keep the nomination in an open field, but it wouldn’t win. 1. I love A Clockwork Orange more than I should. I especially like just how faithful it is to its source material. There are places where it is a bit compressed, but the vast majority of Burgess’s book is here. And even with that, I don’t care too much because loyalty to the novel or no, this is a brutal masterpiece, a film that is both terribly hard to watch and one from which I cannot avert my eyes. When people talk about Kubrick’s genius, there are a lot of films that people can think of, but this is the one I go to nine times out of ten. Were "Dirty Harry" in the running, I'd gladly vote for it. 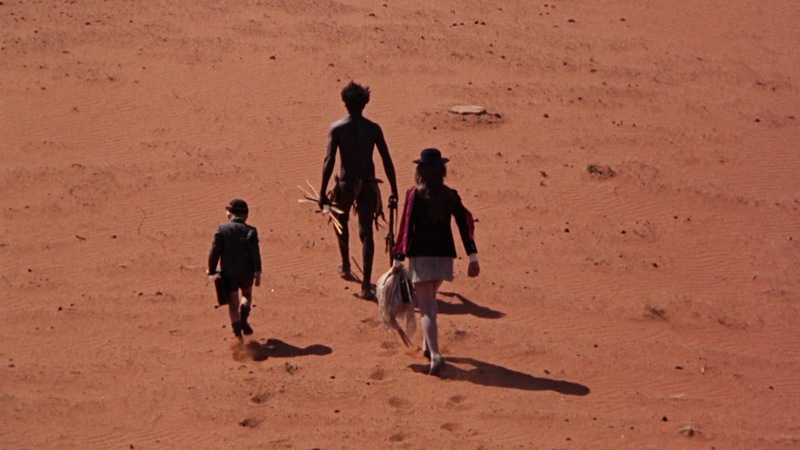 I'm thinking that Walkabout is a film you'd really enjoy for its spiritual aspects. But yeah, Dirty Harry is a great film. 1971 was a hell of a year for movies. I'd put "Get Carter," "Straw Dogs," and Michael Crichton's "The Andromeda Strain" in my best of the year list. But 1971 was the year Oscar really screwed up as the best film of the year would have to go to the ABC Movie of the Week, "Brian's Song," which was so popular that it even had a theatrical release. I like Get Carter well enough, and Straw Dogs is good even if I'm not willing to call it great. The Andromeda Strain is one I've seen, but it's been decades, so I don't feel capable of giving a response on it. Brian's Song is indeed a fine movie. "The Andromeda Strain" scared the hell out of me with it's deadly, man-made premise when I saw it on video as a teenager, and it turned me on to both Michael Crichton the author and Robert Wise the director. The only knock against Wise was that he nearly, single-handedly destroyed the "Star Trek" franchise, but coming from the man who gave us "The Day the Earth Stood Still," I can forgive him for nearly grounding the Enterprise permanently. I know "Straw Dogs" isn't for everyone as is a lot of Sam's work (just as is "A Clockwork Orange" for many), but I can't help but reckon that part of that Palme d'Or that "Dheepan" won in 2015 justifies the greatness of "Straw Dogs," especially when seeing the entire, uncut film against the backdrop of the year that gave us all that ultraviolence. I like a lot of Peckinpah's work, but there's something about Straw Dogs that is like biting on tin foil for me. I'm not sure what it is. Robert Wise, while Star Trek is admittedly dull as dishwater, also gave us The Haunting. For this I will even forgive him The Sound of Music. He has a very odd filmography--he did The Curse of the Cat People and also West Side Story. I forget just how versatile he was as a director. I get the idea behind Straw Dogs, and it's even an interesting film. But I'm with Steve... there's something about it that stops me from really liking it, and I think it's the characters. But it's been so long, I couldn't say. I'm totally with you on French Connection! I honestly just don't get people's unending love for this movie. 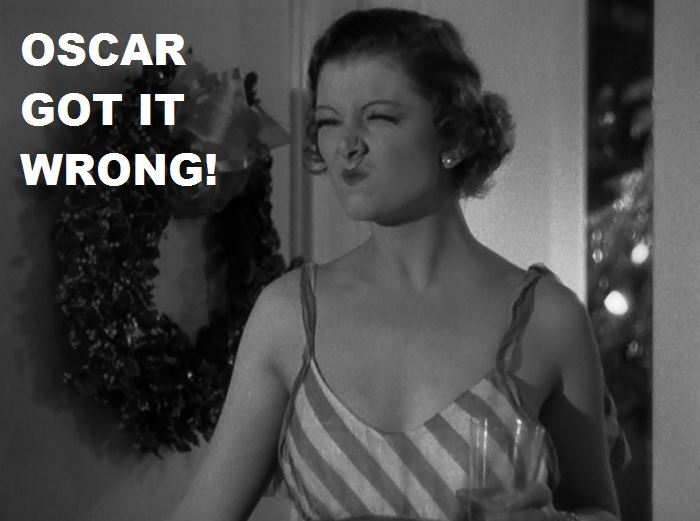 I didn't go gaga for Citizen Kane, but I can at least understand why people call it great (for its time). But I don't get this one. Even the car chase, I didn't think was all that great or exciting. I've seen much better before and since. I do love Willy Wonka and the Chocolate Factory... but I will also admit that the first chunk of it before he goes to the factory is way longer than anyone remembers, and it's sooo dull. But the book is like that, too. I'm also with you on Clockwork Orange. That and The Shining are my favorite Kubrick, so those tend to be the ones I go to. And yeah, Clockwork Orange is a brutal film, but I don't find it a hard watch because it's just so well made and fascinating, much like the book. Right? I understand why people like Scott Pilgrim--a film mentioned on one of these posts not that long ago. I don't like the movie because I dislike the characters and the premise (and almost everything else), but I understand why someone would like it. I don't understand the love of The French Connection at all. It's an average cop movie. But it's more than that. There are movies where I can't understand why someone likes it and then that person will explain to me why he or she likes it. That has never happened for me with The French Connection<. I ask and all I get are vague hand gestures and verbal stumbling. I agree that the first half of Willy Wonka is slow and too long. Because the factory is so crazy, though, it's easy to forget that it takes us forever to get there. 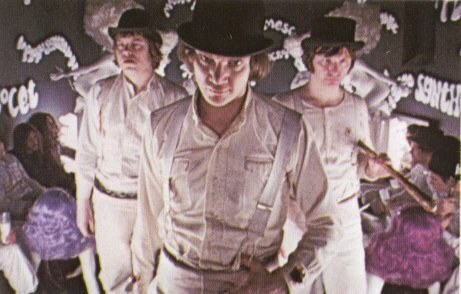 A Clockwork Orange is one of those movies that I think is pretty close to perfect. I'm not sure what I would change in it. Also, you should really track down Paths of Glory. It's a film nerd Kubrick film--one that a lot of people haven't heard of, but which ranks with his best work. Think They Work in Queens?